A prisoner who escaped from the Carl Robinson Correctional Institution in Enfield Sunday might have gotten away by stowing away under a vehicle and the search for him continues. Police said 25-year-old Jerry Mercado was last seen at the medium-security facility at 10:20 a.m. Sunday. 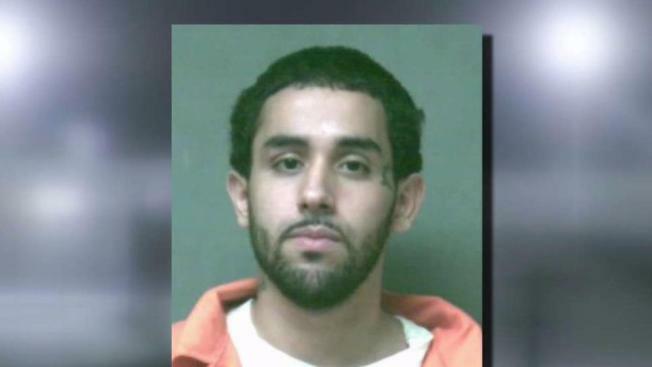 Officials from the state Department of Correction (DOC) said they placed the prison on lockdown around 3:15 p.m. when they realized Mercado was missing during a routine check of the prison. During a news conference Monday, DOC Commissioner Scott Semple said investigators believe a vehicle was involved in the escape because there were no breaches to the outer fence. Semple said there were two vehicles on the property Sunday - a state police van and a garbage truck - and investigators are looking into whether Mercado stowed away under one of the vehicles to escape. "We acknowledge vulnerabilities that have been identified within our security practices," he said. Authorities are reviewing security protocols at Carl Robinson and at all 15 DOC facilities across the state, Semple said. "Public safety is at the very root of our mission and will continue to take precedence," he said. Mercado, who is from Hartford, was serving a three-year sentence for third-degree burglary charges at the time of the escape. Officials from the DOC said he is classified as a "low risk" offender, but police are asking people to be on alert. He is 5-feet-4, and weighs 137 pounds and might be wearing a combination of a tan jumpsuit, white T-shirt and gray sweatshirt. The mayor said Enfield police have doubled their patrols. Investigators believe Mercado may be in the Hartford area. Anyone who thinks they’ve seen Mercado should call 911 immediately. Police stress that he should not be approached. Carl Robinson is primarily a dormitory-style facility that houses around 1,500 inmates.